Manchester United will come to Malaysia!!!! This is not a speculation, no I-hope-they-can-come message, but this news came just a few hours ago. Apparently, the Football Association of Malaysia (FAM) had reached an agreement for Manchester United to play our Malaysian XI this July 27th!!! So far no news yet about the tickets and venue, but we are sure those guys are working at it. In the mean time, keep your eyes on this space! The news came from this link. 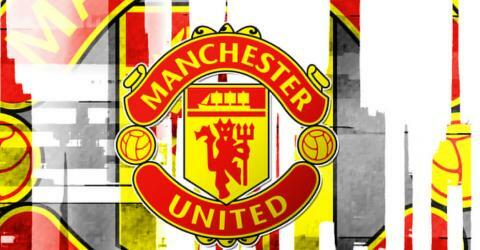 Once again, Glory Glory Man United! 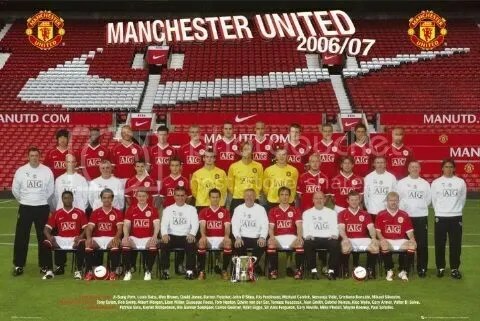 As the referee’s whistle goes off at the 90th+ minute at Old Trafford, it meant one thing; the English Premier League 2006/07 season is over and Manchester United, after battling so hard for almost a year or so, walked away with the trophy on their hands. Defeat was not how Sir Alex Ferguson wanted to end this fantastic campaign, but it proved crucial to The Hammers as it took them away from the relegation zone, ensuring Premiership football for another season to come. The match started in similar fashion with the Chelsea game; Manchester United were given the guard of honour once more by the West Ham players this time around. Onto the first half, it was a much more spirited display by the Red Devils, which showed their character of not taking things easily and keeping their desire to win strong, ahead of the FA Cup Final encounter with Chelsea next week. There were several chances for the Devils, one of it which involved Darren Fletcher, cleverly playing the ball to Wayne Rooney, who then squandered the chance by cutting in the defenders rather than attempting to shoot. The second half showed a poorer form of Man Utd, and several substitutions were made, bringing in Scholes, Ronaldo and Giggs into play. But with Carlos Tevez scoring a vital goal for just before the half-time, Man Utd are slowly attacking and gaining their tempo back. However, a stubborn West Ham and a spirited Alan Curbishley gave the Hammers and their fans joy and smiles as they managed to survive another season in the top flight. The season ended, but it hasn’t ended yet for Man Utd. They still have a Finals encounter with The Blues of Stamford Bridge next week, which will prove to be a cracker. Sir Alex Ferguson will be looking to add yet another FA Cup trophy into his trophy cabinet while Jose Mourinho will be attempting to spoil Man Utd’s dreams come next week. Chelsea’s guard will be put to the test, as Ronaldo and co will look for every attempt to attack furiously and strong against the worn-down defense of Chelsea. Chelsea will be without strikers Drogba, Shevchenko and midfielder Ballack. Whatever it is, there will be a FA Cup winner come next week, and Man Utd stand a high chance to win it. Onto the transfers now, as mentioned and discussed in the previous post, we won’t know who will come be certain to join Manchester United next season until the player himself show up and sign on the dotted line of the contract. However, Sir Alex Ferguson mentioned that he has plans to sign THREE players for next season, one of which is almost certain to be England midfielder, Owen Hargreaves. A transfer target since last summer, will Man Utd be finally able to obtain his services from Bayern Munich this time around? Now to the other TWO potential targets. Man Utd will be looking forward to improve on their attacking side, with the impending retirement of Solksjaer, sir Alex Ferguson will certainly be looking for a striker with a good strike rate. The targets for strikers are reportedly to be Samuel Eto’o from Barcelona FC and Dimitar Berbatov from Tottenham Hotspurs. The thought of seeing either striker at Man Utd sends shivers and excitement down my spine, as both are great strikers and seemed not to shy away from the goal mouth. However, the acquiring of signature from either men will not be easy, as both are highly sought after by other clubs and will need a little bit more patience and luck to deal with. And the price tag won’t come cheap, as both have a value of over 15 million pounds. Here’s to Fergie and the lads in red for bringing the EPL trophy back to where it belongs, and may we have another silverware come next week! Take a look at the picture above. Look at it again. The multi-million football team is honouring us of our brilliance this season, beating them to the title and crowned champions again. Man Utd were welcomed into Stamford Bridge with the guard of honour!! When Chelsea won the title 2 seasons ago, they were welcomed in the same manner in Old Trafford. This shows that we, Man Utd were the pioneers of it. We set the benchmark of humility, respect and being true champions. Chelsea were just reciprocating. Honestly do you think Mourinho would ever do this if we didn’t do it for them in 2005? Never. That particular game we even showed that our reserve team were equal with Chelsea (they still fielded a fairly strong squad). We fielded debutants Chris Eagles, Kieron Lee and China man Dong Fangzhou in the game and they played quite well, considering the pressure playing against Chelsea in Stamford Bridge. The match ended 0-0, a pretty boring match some may say but at least this match showcased some untold talents that we Man Utd possess, all the way to the reserve team. Prove that money can’t buy success. Our man here, Chris Eagles was estatic that he finally gets a first 11 start in the Premiership, and played a full 90 minutes. Kudos Eagles, hope to see you more next season!! As we continue to scratch our heads until it bleeds, no one could confirm or be sure of who will Manchester United sign next. Whether it’ll be a flop (remember Kleberson or Barthez?) or a superb breath-taking wonder (Cristiano Ronaldo), Sir Alex Ferguson and the Manchester United management are making us eat our patience away slowly. 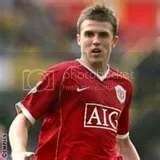 The most recent signing for Man Utd is the sensational Michael Carrick from League rivals, Tottenham Hotspurs, costing MU about 18 million pounds. Though at the early stages he failed to impress, Carrick has shown that he indeed posseses the characteristics and the abilities of a great midfielder as the season goes. On to the transfer speculations. Well, some are no longer speculations, as Sir Alex Ferguson had already declared that he is interested to bring them to Old Trafford. 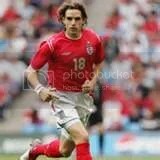 The players are none other than Englishman Owen Hargreaves from Bayern Munich and Spanish Fernando Torres. Throughout the start of the season, the attempts to bring Owen over from Bayern have been fierce. The German giants are reluctant in letting him go, but has now changed their mind apparently, and was rumoured to finally agreeing to let him go at a high price. Will Man Utd acquire Hargreaves’ services next season? Apart from Hargreaves, Fernando Torres has been attracting Man Utd’s interest for quite some time. According to reports, Man Utd paid 7 million pounds as a ‘deposit’ fee to block other clubs from acquiring the Spanish forward’s signature. 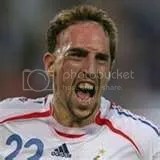 With Hargreaves and Torres out of the picture, Manchester United are said to be chasing over French star Franck Ribery as well. Reports mentioned that Arsenal, Chelsea and Tottenham are ready to go into bidding war for the attacking midfielder as well. Luis Nani of Sporting CP are said to be attracting foreign interests including Manchester United’s as well. The young 20 year old is tipped to be as huge of a player as Cristiano Ronaldo, and the price tag for him is said to be close to 13 million pounds. From what I’ve heard about Nani, he is a superb player of pace and skills, not far from his fellow countymen Cristiano Ronaldo. Apart from midfielders, Sir Alex Ferguson had declared interest in a young full-back as well. 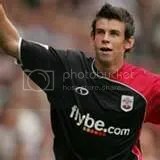 Gareth Bale who plays for Southampton, is a promising 18-year old Welsh full back, and amidst rumours that Tottenham is interested in him as well, reports had it that the young star had accepted Man Utd’s offer and will be joining them next season. But until we see him in a MU shirt, anything could happen in the world of football, like John Obi Mikel’s case. Well that’s all for now, laters… and yeah we do hope that Sir Alex Ferguson can make the right choice this time around to build his squad for next season and perhaps, for Europe. Champions for the 9th time!!! Congratulations to arguably the best, and the most breath-taking team ever to win the 9th English Premier League title under the reign of Sir Alex Ferguson on the 6th of May. Chelsea, as we all know, had been hot on the heels of Manchester United since the start of the season, to repeat their consecutive successes on winning the League two years in a row. But sorry Chelsea, not this year and not for the third time. Chelsea needed a win against Arsenal at the Emirates Stadium last Sunday to keep up with the leader of the pack, a draw or a defeat would not be an option for Mourinho’s men. Manchester United had extended their lead to 8 points last Saturday when they faced Manchester City, in a match where Manchester United could and should have won with a bigger margin than a 1-0 scoreline. Cristiano Ronaldo took the penalty for Man Utd and needed a late heroic kneecap save by Van Der Sar to keep Darius Vassell’s penalty attempt at bay, keeping the scoreline at 1-0 and thus extending their lead against Chelsea. On to the Chelsea and Arsenal game, perhaps it was a fairly contested game, with both sides having a fair bit of chances. Perhaps Chelsea were slightly the better side, pressuring the Arsenal players time and time again. It wasn’t until the 41st minute when a reckless challenge by Chelsea’s central defender Khalid Boulahrouz against Arsenal’s Julio Baptista, and Boulahrouz was sent off for being the last man while Gilberto managed to convert the penalty for Arsenal. The score was 1-0 at half-time. For the second-half, Chelsea was the better side albeit down to 10 men. Arsenal was on their back of their heel most of the time, and it indeed paid off when Michael Essien connects with a scorching header. But it wasn’t enough and Chelsea were held by Arsenal, thus allowing Manchester United to win the League for the 9th time (16th times under all previous managers) under the mighty squad of 2006/07 and Sir Alex Ferguson.Man United had previously won the league title 16 times at years (seasons): 1907-08, 1910-11, 1951-52, 1955-56, 1956-57, 1964-65, 1966-67, (from here on with Sir Alex Ferguson) 1992-93, 1993-94, 1995-96, 1996-97, 1998-99, 1999-2000, 2000-01, 2002-03, 2006-07. There should be an analysis for the Man Utd and Man City match instead, but there’s no need for any analysis, because Man Utd just rolled over their sorry butts, so no explaination needed. But still, congratulations Manchester United for becoming champions of England once again. We hope that next season we can become the champions of Europe as well, but for now, we shall savour the taste of victory! Welcome to the Manchester United Fanatic Blog! The warmest of greetings to all of you, and thank you for the time and effort spent for visiting this blog! As you know, this blog is all about Manchester United; The Red Devils; The Old Trafford Boys or my personal favourite, the best-ever team to have grace the football pitch all around Europe and the world! With such a long and succesful history (under the superb and legendary Sir Alex Ferguson, as well as his other compatriots before his reign), there’s bound to be many things and lots of amazing and breath-taking moments that we can bring out to be be cherished together and be discussed.